Group Health Insurance Secures Talented Employees. You may be wondering what group health insurance is, or maybe you are already familiar with group health insurance but you would like to know the benefits of obtaining group health insurance through Dickey McCay Insurance; whatever the case, we are here to help answer your questions and provide you with the best coverage options at an affordable price. Established in 1929, Dickey McCay Insurance Agency has proudly provided insurance solutions throughout Georgia, Tennessee, and North Carolina for nearly 90 years. At Dickey McCay Insurance, we represent a wide spectrum of insurance companies that have earned the highest ratings. With this many great options, Dickey McCay Insurance has the flexibility to offer you individualized options at affordable prices. Our insurance services provide excellent coverage to customers seeking the right plan for their lifestyle in Copperhill, TN, Tellico Plains, TN, Murphy, NC, Blue Ridge, GA, Andrews, NC, Blairsville, GA, Madisonville, TN, Sweetwater, TN, and surrounding communities. And with a combined 80 years of insurance experience, our exceptional staff has experience and expertise to help you choose the group health insurance plan that works best for you. So what is a group health insurance plan and what are the benefits of obtaining group health insurance? 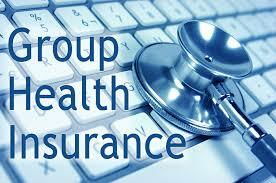 A group health insurance plan is an insurance plan that allows for healthcare coverage to a select group of people. Primarily, group health insurance plans are one of the considerable benefits offered by many employers in the U.S. Generally, group health insurance plans are typically the same, offering similar benefits to all employees or members of the group covered under the policy. However, group health insurance policies can be specially tailored to offer benefits by classification of employees and/or by the profile of employees. Additionally, group health insurance policies that are purchased by an employer as part of an employee benefits package are often extended to the employees’ family members as a benefit of working for that company. A group health insurance plan is an integral component of many employee benefits packages that employers provide for their employees; without such benefits, many employees tend to pass up on job offers that do not provide group health insurance policies to them and their families. There are many benefits of providing group health insurance to your employees, and at Dickey McCay, we can help you to attract high-quality workers who understand these advantages. One of the conveniences for employees in a group health plan is the aid most employers in the U.S. make toward the cost of health coverage premium. For example, in many instances, employers pay one-half or more of the monthly premium for their employee. For employees, this is an attractive reason to join a company, and a primary reason many skilled workers remain with their company. Group health insurance, however, can be bought and extended to other defined groups other than those in a workplace, for example the members of a society or professional association such as the American Medical Association. Benefits of group health insurance extend beyond coverage; it can also help reduce the problem of adverse selection, or people who can be taken advantage of because they need insurance but do not have access to all of the information or will be charged a higher premium by buying individual health insurance. Group health insurance allows for a group of people who are eligible to purchase insurance but belong to the group for reasons other than they wish to buy insurance (employment, being part of a professional association, etc. ); this type of grouping of individual persons allows our insurance companies at Dickey McCay Insurance to provide lower rates. One of the most critical benefits of obtaining group health insurance through Dickey McCay Insurance is that as a member of the body being offered the group health insurance, the person in the group is generally eligible to renew coverage if they choose to continue being a member of the group. 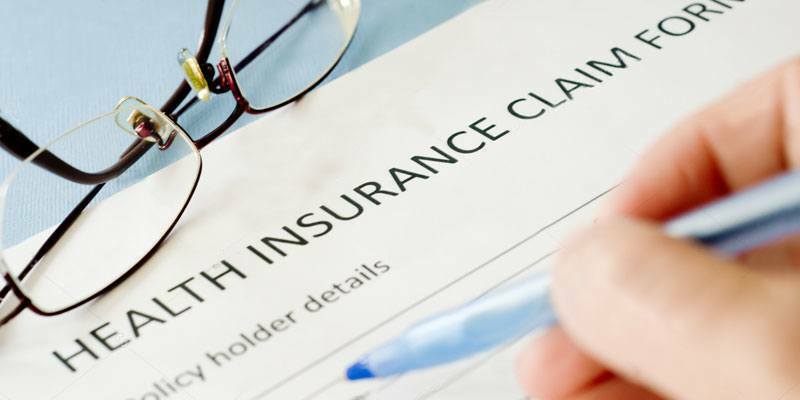 Under group health insurance, the policyholder will typically remain covered as long as he/she continues to work for the employer providing the group health insurance benefits and as long as he/she continues to pay the required insurance premiums. As an employee or employer in the greater Murphy and Andrews, NC, Blairsville and Blue Ridge, Georgia, Copperhill and Tellico Plains, TN areas, group health insurance would benefit your company by attracting and retaining the highest quality employees, allowing for affordable rates through the insurance carriers Dickey McCay Insurance provides, and by providing excellent coverage for your company, its employees, and their families. We can help you to choose the best plan, and you can begin seeing the benefits of offering group health insurance. Remember, employers with fifty or more full-time equivalent employees are required to offer affordable, minimum-value group health insurance. If the company does not, they may be assessed and receive government penalties. 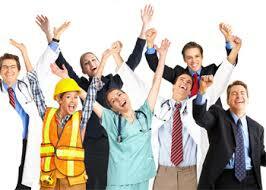 Plus, employers can deduct 100% of their employees’ health insurance cost as a business expense! If the business is incorporated, the business owner’s own insurance costs are also deductible, while small businesses with fewer than 25 employees may be able to receive a tax credit if they purchase small group health insurance for their employees. With all of the benefits of obtaining group health insurance through Dickey McCay Insurance, there is no reason not to call today at our main office (423) 496-3366 to talk with our insurance specialists. We will be happy to help you find the best policy to cover all of your needs throughout Georgia, Tennessee, and North Carolina. With offices in Copperhill, Tennessee and Tellico Plains, Tennessee, and a knowledge base of more than eighty years of service supplying the insurance needs of families and businesses, we will aid you in offering the best group health insurance policy for your business, your employees, and yourself!